I grew up traveling, and I’ve always been enamored with all aspects of it. At a very young age I realized that, no matter how different the trip or experience, traveling changed me. 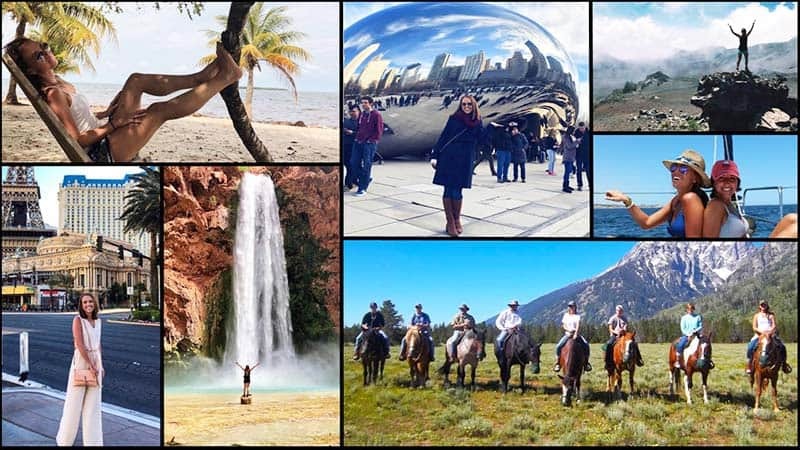 Whether it was a ski-trip or summer adventure in Whistler, Canada, or just a road trip down to a beach somewhere in Florida, there was something different in me each time I returned home. Traveling teaches and challenges you; it makes you want to grow, evolve, and be better. It’s addictive! There are so many life lessons (both big and small) that yield self growth in the midst of all these wonderful adventures that come with going out and experiencing our planet. I have a very obvious affinity for travel and exploration, which is exactly why I’ve decided to make a career of it. My strengths are communication and organization; both of which only enhance my ability to plan and design itineraries for my clients. I grew up surrounded by entrepreneurs, so it goes without saying that a hard work ethic was instilled in me at a very young age. Working hard is something that comes naturally to me, and I don’t ever stop until every need and expectation of my clients are met. My very favorite destinations are found in the Caribbean. There’s something about islands that make me so happy! From boutique properties like Naia Resort and Spa in Placencia, Belize, to fabulous Virtuoso resorts like Las Ventanas in Los Cabos, Mexico, you truly can’t go wrong with a little sun and sand! Other than the island life, adventure travel fills my soul. All throughout the US, Canada, and Hawaii are where some of my best memories are made. From challenging myself to touch Wyoming’s snowcapped Grand Teton mountains in the middle of July by hiking all the way up and off the beaten path, to zip lining over the glacier water that flows between Whistler and Blackcomb Mountains… From every step of the 12.5 mile Halemau’u Trail hike through the crater floor sand on Mount Haleakala, to every time I busted my tail skiing down the 2010 Women’s Olympic Run’s moguls… Every second of adventure travel is a worthwhile moment for me, and I love any time I get to help my clients make their very own memories.